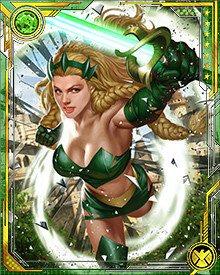 Driven by emotion, the Enchantress has been known to cry diamond tears. 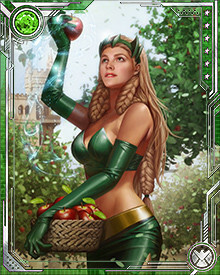 She has also harvested the legendary Golden Apples that keep the Norse gods immortal and put them to her own uses. Subtle and patient, she will scheme for decades—or centuries—to ultimately get her way.